It has been reported that Canon is aiming to cut its operation costs by introducing industrial robots in its manufacturing process. 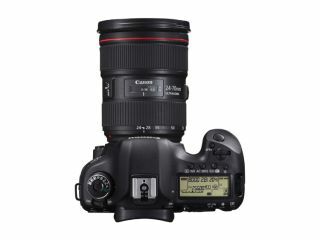 The news, as reported by the Japanese stock market, the Nikkei, comes after Canon has introduced two new high-end DSLRs in to the market, in the shape of the Canon EOS 1DX and the Canon EOS 5D Mark III. According to the reports, Canon estimates that the strong yen and an economic slowdown in Europe will have an effect on its operating profit. One of the ways Canon hopes to cut costs is by using more industrial robots in its production of toner, but is also apparently considering introducing them to produce interchangeable lenses for its SLR cameras. It is thought that the introduction of the robots would save the firm around 400 billion yen, or $4.84 billion. The report also says that the Canon is hoping to lift sales to 5 trillion yen or higher in the fiscal year of 2015, which would mean an increase of 47% from the year ending December 2011. There have been several rumours suggesting that Canon will introduce a compact system camera in 2012, as it is the only major camera manufacturer without some form of mirrorless model on the market.